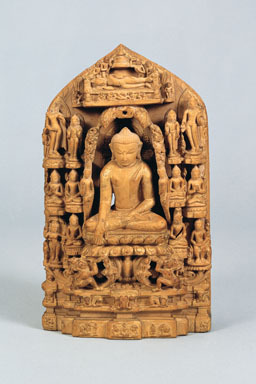 Stele with Scenes from the Life of the Buddha, eastern India, possibly Bodh Gaya; ca. 12th century. Pyrophyllite and traces of gilding, h. 19.7 cm. Asia Society, New York (1979.90).